We have a special announcement from eco friendly dress designer Lindee Daniel. The Lauren wedding dress that is normally $4000 is just $2000 until October 31, 2012. You may ask why is this beautiful gown that takes 40 yards of fabric, and endless hours of detailed hand work to create half off. Well ... like many things around the world pinterst has yet again shown its power. Lindee's Lauren gown caught the eye of so many brides, but the price of couture craftsmanship was just a bit out of the budget. Excited about Lauren's popularity and at the same time disheartened that so many women who love and want this dress cannot afford it, Lindee snapped into action and that is where the half off sale came to life. Yippee for affordable eco-friendly fashion! 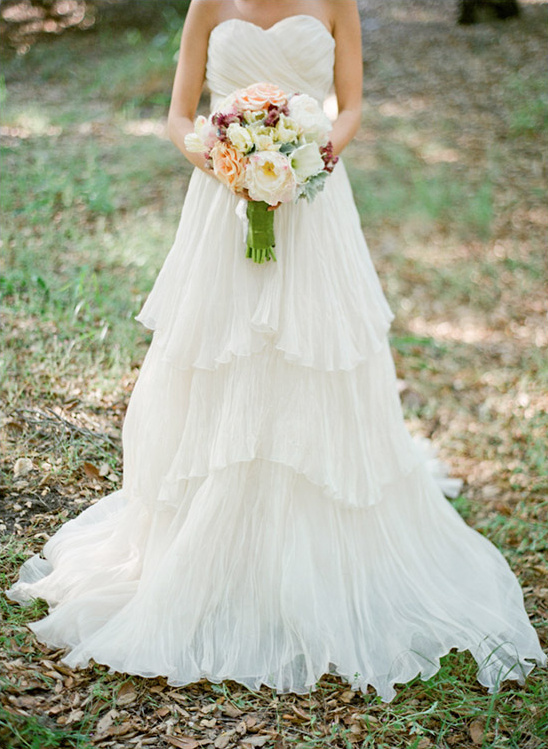 All of Lindee Daniel's gowns are made from natural fibers, colors, peace silks and pure processes. A fusion of creativity, sustainability and philanthropy wrapped in a gown for an extraordinary day. Read on to hear how you can slip into the Lauren dress for half the price. What's a bride to do if she wants to take Lindee up on this offer? Interested brides (who have a wedding in 2013) need to write to Lindee at enquire@lindeedaniel.com giving a brief story on why they deserve or need such an offer, they will then receive a reply with more details. You only have until October 31, 2012 to get this special offer. 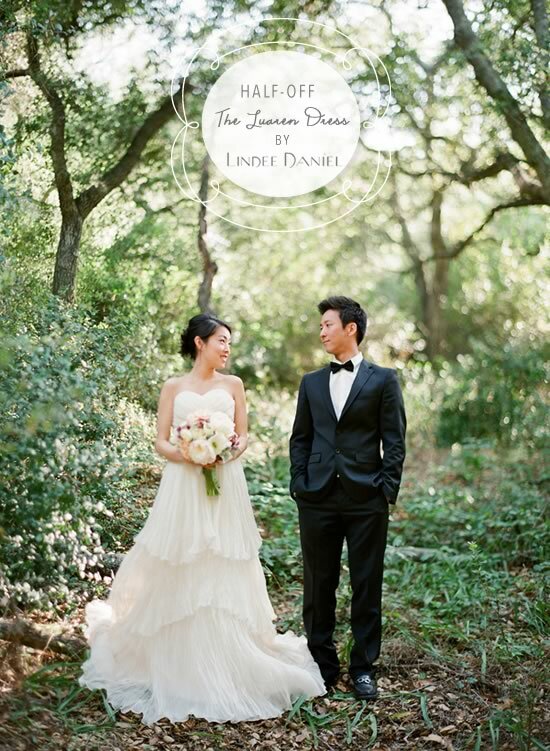 You can see more of the Lauren dress here photographed by Lane Dittoe.